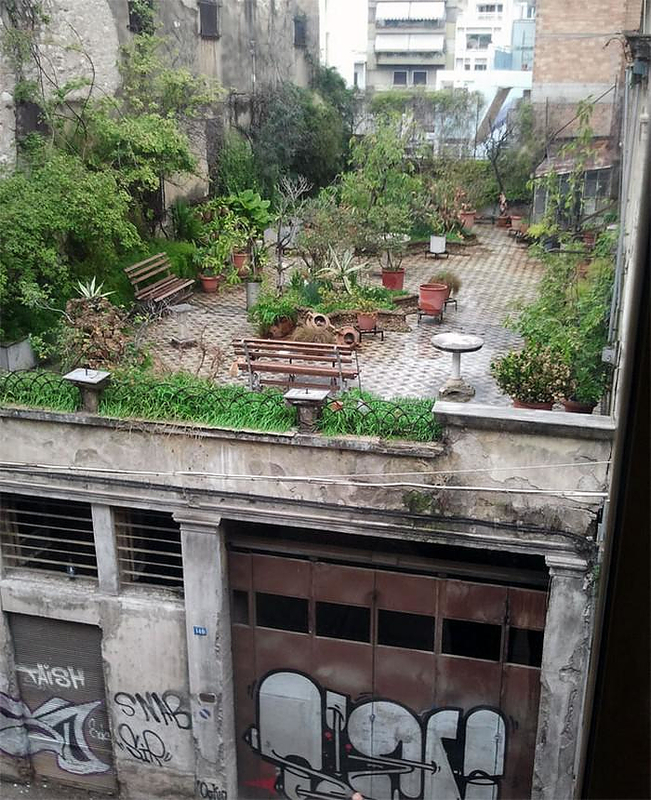 A Secret Roof Garden in Patras, Greece. HomeBlogVariousA Secret Roof Garden on Top of an Abandoned Building in Patras, Greece. Millions of pictures flow in front of our eyes while surfing the web. Occasionally, a few of them are strong enough to make you stop and stare. 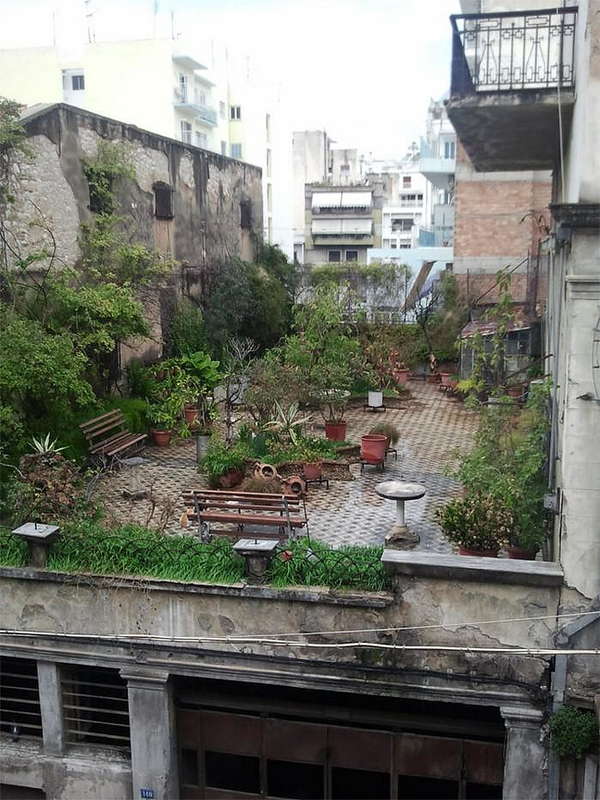 This picture of an extemporaneous roof garden in the Greek city of Patras is one of these selected few. 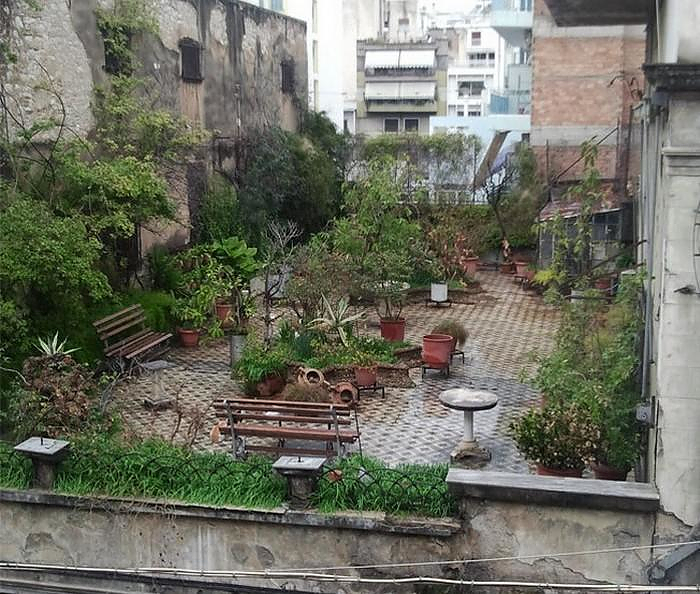 The garden is placed on top of an abandoned building and the contrasting image makes it look like an artistic collage or a photo shopped picture. But it is real and a part of two parallel worlds, the world of desertion and abandonment and the world of preservation, concern and care. It is definitely an intriguing image of symbolic meaning as it shows that wherever there is a passion, thoughtfulness and the desire for aesthetics then one can find (and create) beauty to the most unexpected places. The secret roof garden is located at the corner of Filopoimenos and Riga Feraiou streets and our Facebook page fans informed us that the building is currently closed for restoration. The initial source of the picture is from spitoskylo.gr and you can find it here.